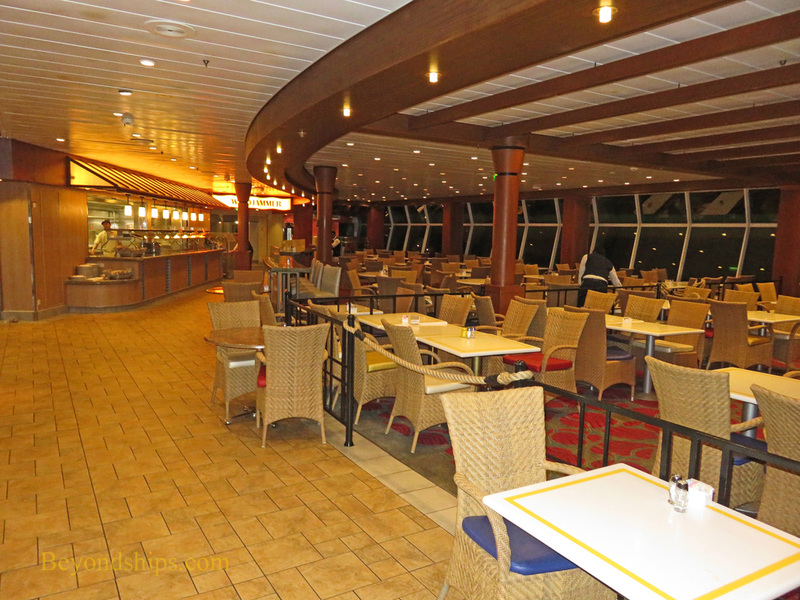 Navigator has several places to grab a snack or to enjoy a meal in an informal, casual atmosphere. 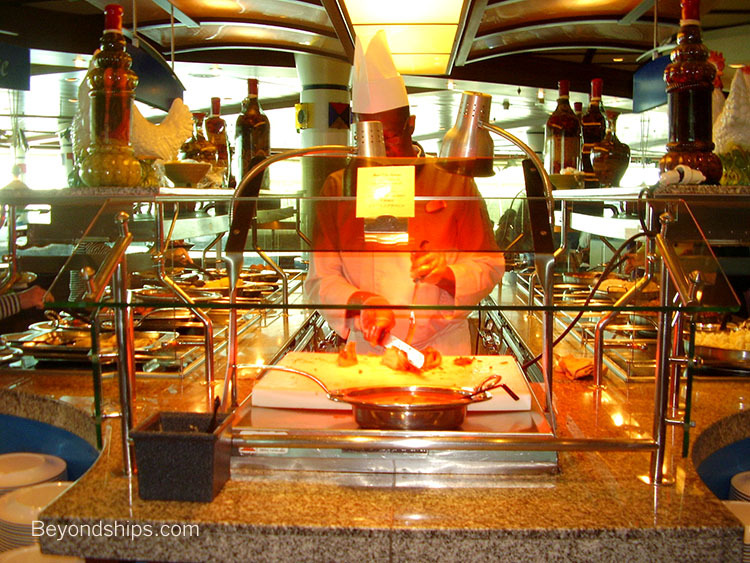 The Windjammer is Navigator's self-serve buffet restaurant. It has a wide array of stations and thus offers a variety of choices. The seating is on the periphery by the floor-to-ceiling windows and so there is lost of natural light as well as panoramic views. 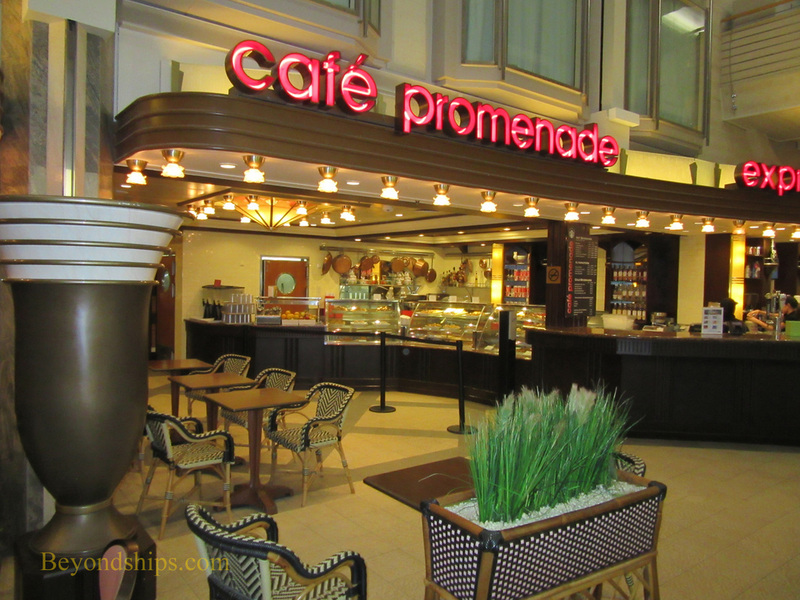 Cafe Promenade is a casual dining venue on the Royal Promenade. 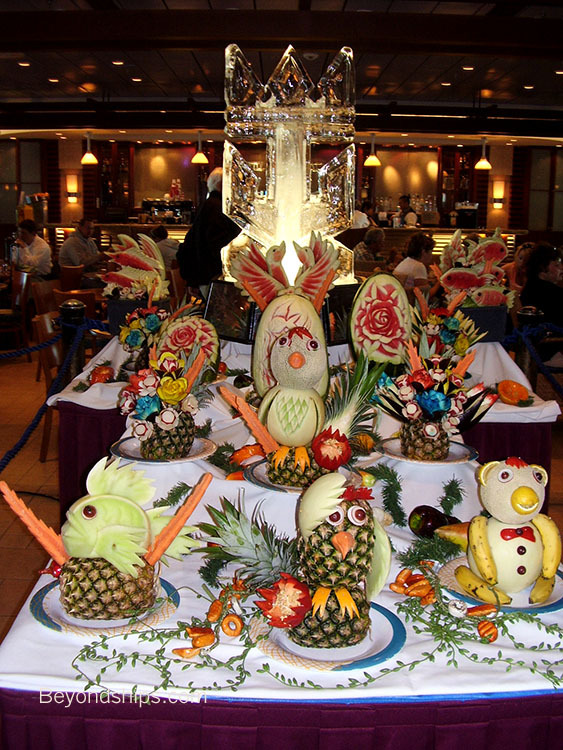 Thus, guests can sit at the tables and watch the people and activity on the Promenade. 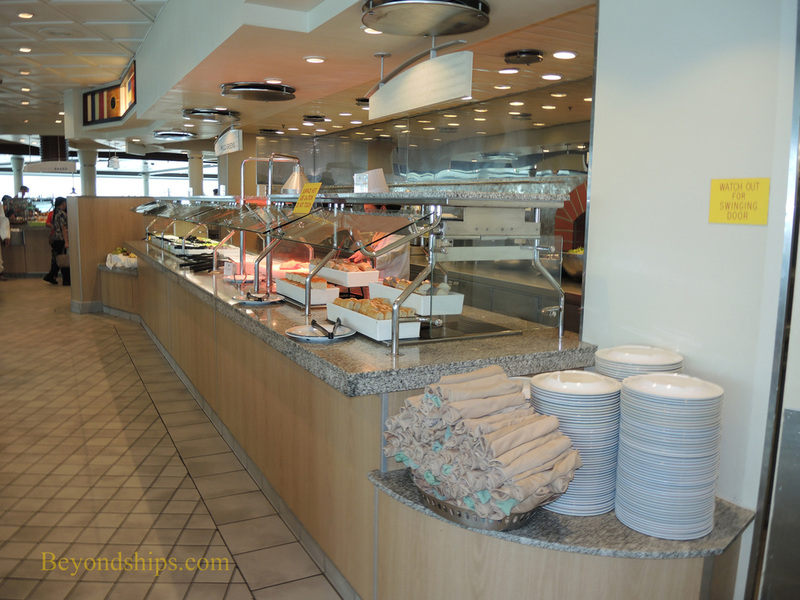 North American guests tend to come here for the pizza while U.K. guests seem to favor the sandwiches. 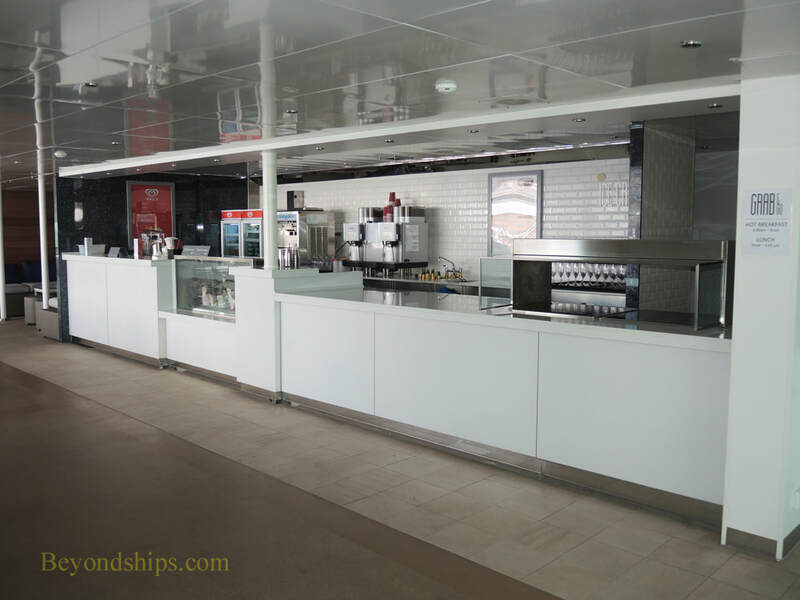 Adjacent to Cafe Promenade is the Starbucks Coffee and Ben & Jerry ice cream counter. Additional charges apply at this counter. 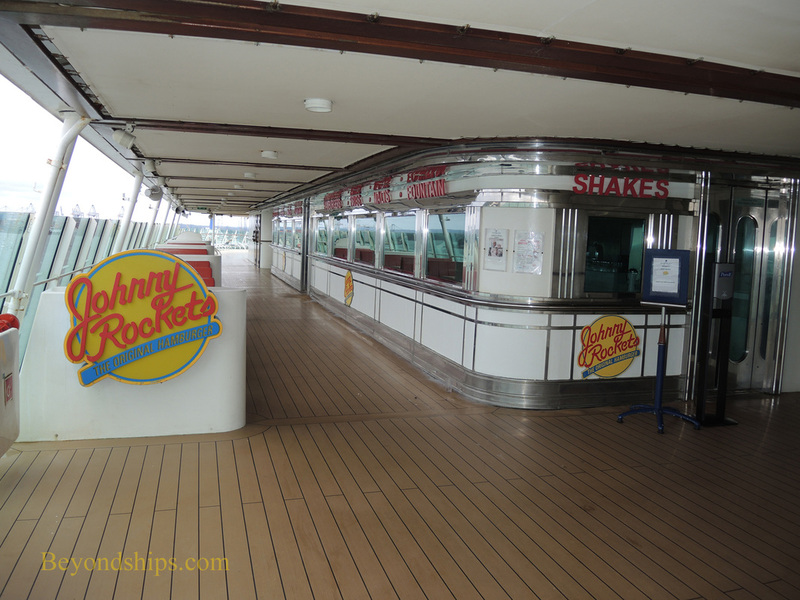 Johnny Rockets is a 1950s-inspired hamburger restaurant. 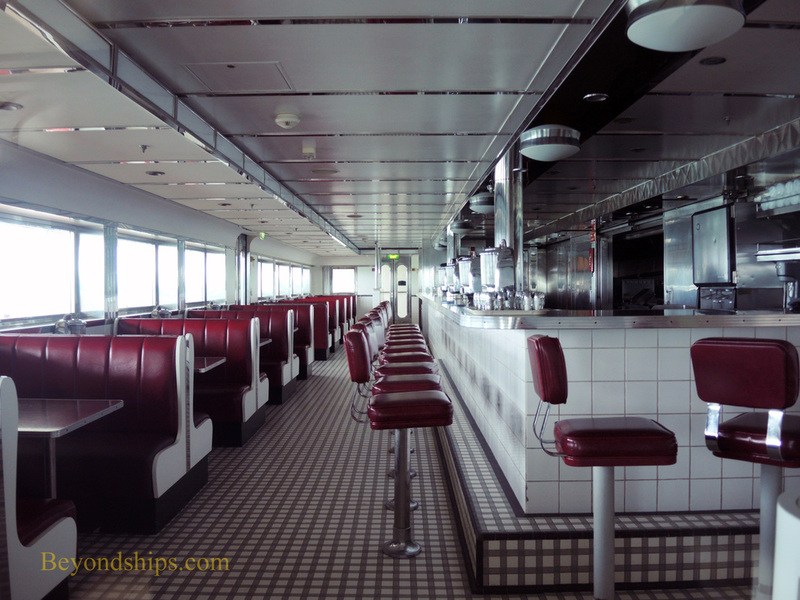 Everything from the decor to the uniforms to the music playing on the juke box seeks to evoke nostalgia for mid-20th century America. 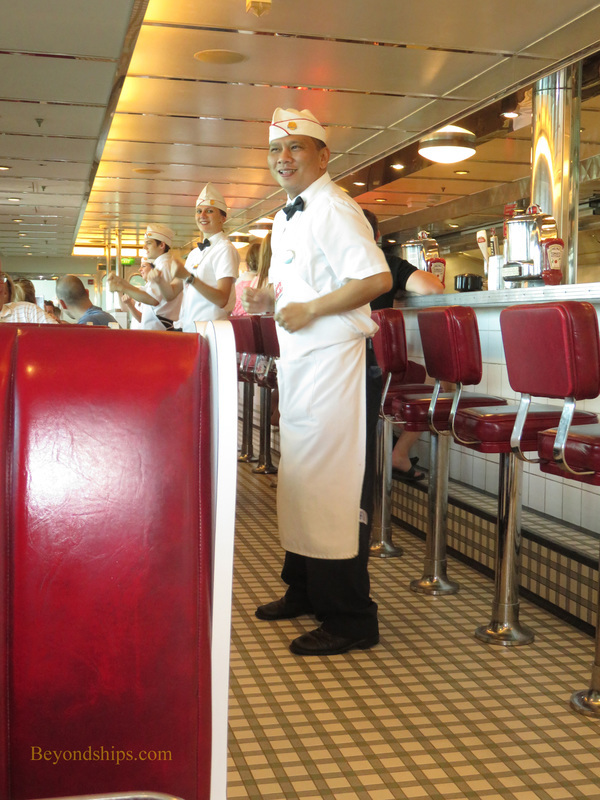 The waiters even dance to the music from time-to-time. Additional charges apply. (See separate review).